We are finally here our series on mental state exams is in its last week. Over the past eight weeks we have built an understanding of the core components of a mental state exam so that we can support our young people as best we can. This week I was speaking with a youth worker in one of Victoria’s largest Christian denominations about a mental health conference he was at. I was reminded about how important it is for all youth workers to have a strong understanding of mental health. So far we have discussed how a young persons appearance, behaviour, speech and language, mood and affect, thought process and content, their perceptions and how their cognition can provide indicators as to their mental state. Today we discuss how a young persons insight and judgement can provide insight into their current mental health status. A young persons insight into their own mental health and possible treatment options is key to the extent to which effective support can be provided. The young persons understanding of his or her mental illness is evaluated by exploring their explanation of the problem, and their understanding of the potential treatment options. The three main areas in which we need to be aware when assessing a young persons insight: recognition that they have a mental health issue, compliance with a treatment plan, and the ability to describe unusual mental events (such as delusions and hallucinations) as abnormal. 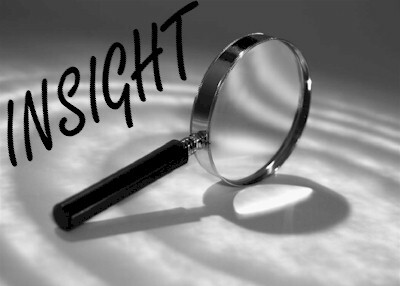 Insight is assessed on a continuum and therefore youth workers should not describe it as simply present or absent, but should descriptively assess the young persons ability. Impaired insight is characteristic of disorders such as psychosis and dementia, and is an important consideration in the development of treatment plans and in assessing the capacity of a young person to consent to treatment. Mental health issues have become more frequently reported and diagnosed however the ability for many people including young people to accept that they have a mental health issue is still a concern. Insight is linked closely to cultural, religious and societal norms and these things should be considered while supporting a young person. When we are observing judgment it refers to the young persons ability to make reasonable, sound and responsible decisions. Contemporary use of this in a mental state exam asks us to inquire about how the young person has responded or would respond to real-life challenges and contingencies; for example, ‘What would you do if your mother stated that she thought you were depressed?‘. In this form of questioning we are looking to see if the young person is able to respond in a way that shows insight into their situation and possible next steps. Assessment of the young persons judgement would include amongst other areas the individual’s executive capacity in terms of impulsiveness, social cognition, self-awareness and planning ability. If the young person appears to be providing abnormal judgement it is not necessarily a link to a mental health issue as it is not part of any diagnosis. However, if there is an impairment in judgement it may be an issue of safety for the person and the community. Good luck. Use these tools wisely. Posted in Uncategorised and tagged Mental State Exam, Youth Ministry, Youth Work, Youth Workers.